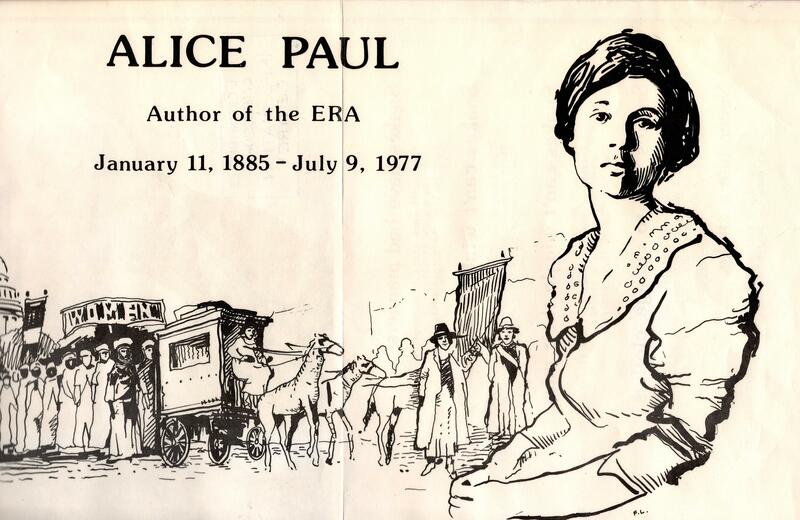 “She will die, but she will never give up” commented the psychiatrist called to evaluate Alice Paul’s mental condition when she was in an American prison in 1917. She was part of the National Women’s Party who had been picketing the White House, campaigning for women’s rights. She went on to write the original Equal Rights Amendment, which was first introduced in the US Congress in 1923, and was reintroduced in every Congress until it was finally approved for submission in 1972. Before campaigning in the United States, Alice came to England to study, having been awarded a fellowship. While studying economics at Birmingham University, she heard a talk delivered by Christabel Pankhurst, and became a “convert” to the cause. She then moved to London to start a two-year sociology and economics course at LSE. 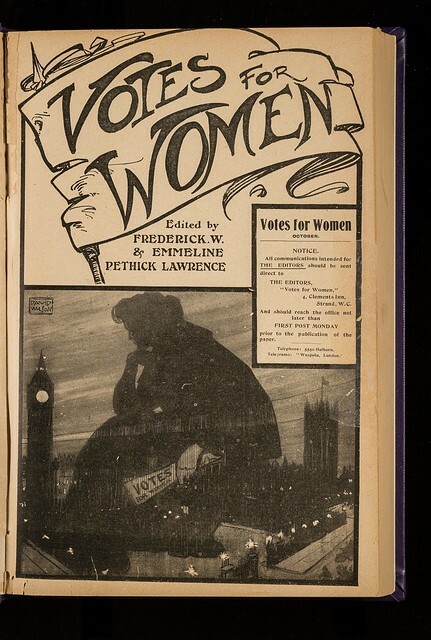 She met Rachel Barrett, a peer at LSE, and enthusiastically took up the work of the Women’s Social and Political Union (WSPU), first by selling its newspaper, Votes for Women. Neither Alice nor Rachel finished their courses so they do not appear in LSE Register, 1895-1932. Sadly, there are no student files for this early period of LSE’s history. This was only regularised under the directorship of William Beveridge in 1919. The rest of this article describes Alice’s activities in England. In Votes for Women for 29 June 1909, Alice took part in a deputation, led by Emmeline Pankhurst, to the House of Commons. Violent scenes with police ensued and more than 100 women were arrested and taken to Cannon Row Police Station. 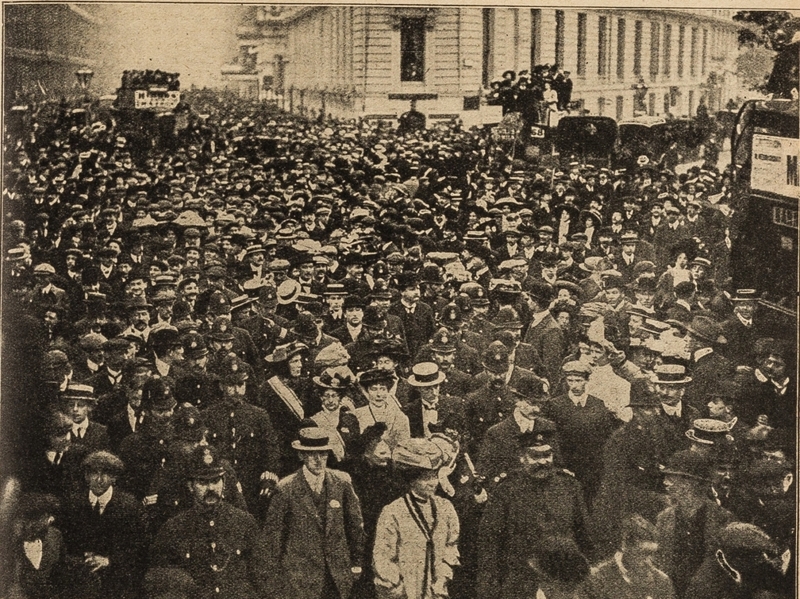 Alice was amongst them as well as another LSE student, Alice Kirby (who also has no entry in the LSE Register). The case against these women was finally dropped. In the following month, Alice was arrested in Norwich for holding a suffrage meeting outside the building where Winston Churchill was giving a speech, but again she was not charged. A few days later, on 30 July, Alice together with Emily Wilding Davison, Mabel Capper and others, hid in a workman’s house outside Edinburgh Castle, a popular music hall of the time in Limehouse, East London, where Lloyd George was going to deliver a speech in defence of the budget. Through the open windows of Edinburgh Castle, the women could hear Lloyd George’s speech being interrupted by sympathetic men who asked why voteless women were taxed. The women used their loudspeakers to drown out Lloyd George’s speech. Joined by male supporters, they then tried to enter the building but were arrested. This time Alice was sentenced to two weeks’ imprisonment in Holloway. She went on hunger strike but was released after five days. 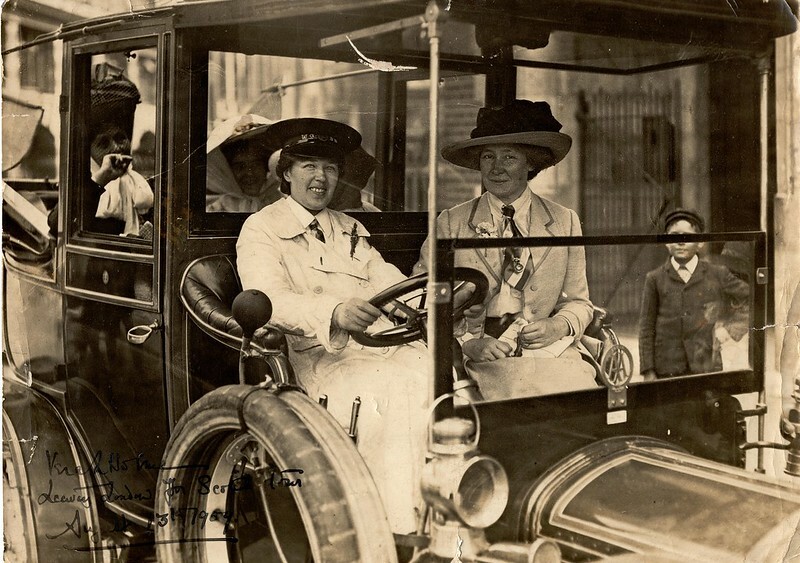 Once Alice had recovered, she was driven by Vera ‘Jack’ Holme, the WSPU chauffeur, to Scotland with Emmeline Pankhurst and Lucy Burns, a fellow American, in the WSPU car to campaign in Scotland. On the evening of 20 August, Lord Crewe was due to speak at St Andrew’s Hall, Glasgow. Alice hoped to get into the building so climbed onto the roof the night before. She was discovered in the daytime and made to come down. Later that evening, Alice with Lucy Burns, Adela Pankhurst and Margaret Smith, tried to force their way into the building, only to be arrested. In the following month, Alice and two others tried to interrupt another political meeting in Dundee. They were arrested and sentenced to ten days’ imprisonment. Alice went on hunger strike and released after three days. In October, Alice was arrested again after demonstrating at a bazaar that was being opened by Sir Edward Grey in Berwick-on-Tweed. She was later released without charge. Back in London, Alice and Amelia Brown hoped to interrupt the Lord Mayor’s Banquet in the Guildhall on 9 November 1909 and disguised themselves as cleaners, carrying buckets and brushes, and entered the building undetected with the other cleaners. They then hid until the evening reception. When Asquith began to speak, Amelia smashed a small window so that her ‘Votes for Women’ call could be heard. Alice joined in. Both women were arrested and imprisoned in Holloway. They went on hunger strike and were forcibly-fed. Once recovered after being released, Alice returned to America. We have two further typescript accounts in the Women’s Library collection which describe attempts by Alice to heckle ministers, one at the Savoy and another at the Royal Albert Hall, but neither was successful and not reported in Votes for Women.